Rent4keeps Riverstone rent brand new, high quality products including appliances, TV’s, laptops and computers, phones, furniture, fridges, freezers and much more. Searching a company where you can rent to own? Consider rent4keeps today. 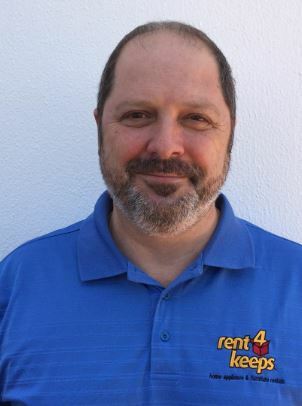 Your rent4keeps Riverstone representative is Paul, who will assist you with all your rental needs. Paul will assist with delivery and installation of your brand new rental products across the following local areas: South Windsor, Windsor, Bligh Park, Riverstone, Kellyville Ridge, Castle Hill, Glenhaven, McGraths Hill, Hawkesbury and Rouse Hill. Paul, your local Riverstone rent4keeps representative will assist you with all your rental requirements. Paul will even assist with free delivery and installation provided you are located within a 50km radius to Riverstone.